After a three-month search, the Joint Task Force (JTF) has arrested a Boko Haram leader, Habib Bama, who is believed to be the architect of some key bombings. Bama, a dismissed Army Private, allegedly coordinated bombings in Mogadishu Barracks, the Police Headquarters, the UN Building, St Theresa’s Catholic Church at Madalla and many in Jos. The JTF, comprising the State Security Service (SSS), the military and the police, stormed Bama’s operational base in Damaturu, it was learnt. There was a shoot-out in which he was fatally wounded. Bama was being interrogated, as at press time, in Damaturu, the Yobe State capital. He may be moved to Abuja, if his condition improves, source said. Bama’s arrest came on a day the United States put the group’s leader, Abubakar Shekau and two others on the “terrorist” list. 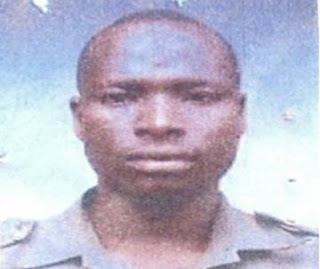 A top JTF source said: “One of the cell-leaders of Boko Haram in the Federal Capital Territory, Suleja-Jos axis, was shot this afternoon in Damaturu by the Joint Task Force (JTF). “He was critically wounded. We are still extracting words from him. The manhunt for Bama started on February 15 when the SSS declared him wanted. A statement by the SSS Deputy Director, Ms Marilyn Ogar, said the suspect committed crimes against the state. The statement said: “Habibu Bama is hereby declared wanted by the Federal Government in connection with crimes against the State. “Bama is an ex-soldier, Kanuri by tribe and hails from Bama, Borno State . He is also known by the following names;( i )Habib Bama; (ii) Shuaibu Bama; and (iii) Habib Mamman. There was no official reaction from Boko Haram as at press time on the arrest of Bama. Bama was captured at the market, dependable military sources said. The source said Bama, apparently affected by the curfew, was at the market and bought food items like Irish Potatoes and yam when he was captured along with two of his boys, by soldiers on patrol. The source said the arrest of Bama was accidental because a soldier who was Bama’s neighbor during his military days saw him at the market while on patrol. Bama was reported to have attempted to collect the gun from one of the soldiers but four soldiers overpowered him after shooting him in the leg. It was gathered that his boys, who were guarding his car took to their heels and escaped. Other sources said he was arrested after a fierce gun battle with operatives of the Joint Task Force when he was trying to sneak out of Damaturu town. Top military sources said he was badly hit by bullets. Damaturu residents who were coming out of their houses after the relaxation of the 24 hours curfew, were forced to return home as security operatives discovered an un-detonated bomb near First Bank Plc branch office along Gashua road.